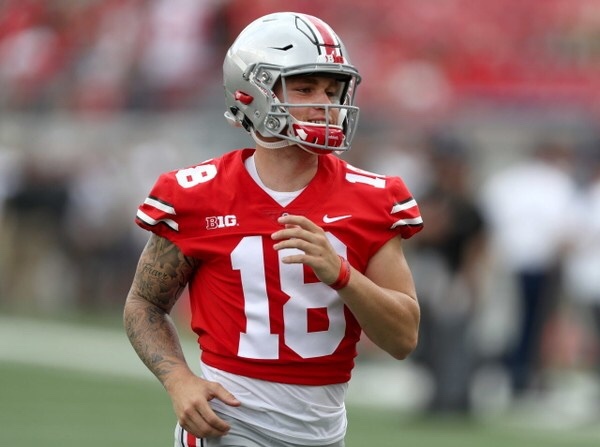 You’ve probably heard the comments made by Ohio State backup quarterback Tate Martell on Justin Fields’ potential transfer from Georgia. However, there’s more to the story than Martell’s brief and undisclosed tweets from his personal Twitter account. One of our sister sites, the Buckeye Wire, caught up with Martell in Pasadena after the Rose Bowl. The Buckeye Wire asked Martell about the quarterback situation next season in Columbus and his thoughts on Fields possibly coming to Ohio State. After the Rose Bowl, I asked Tate Martell about the prospect of having a quarterback competition with Justin Fields next year. Here are his complete, unedited comments, and not just pieces of the complete quotes. 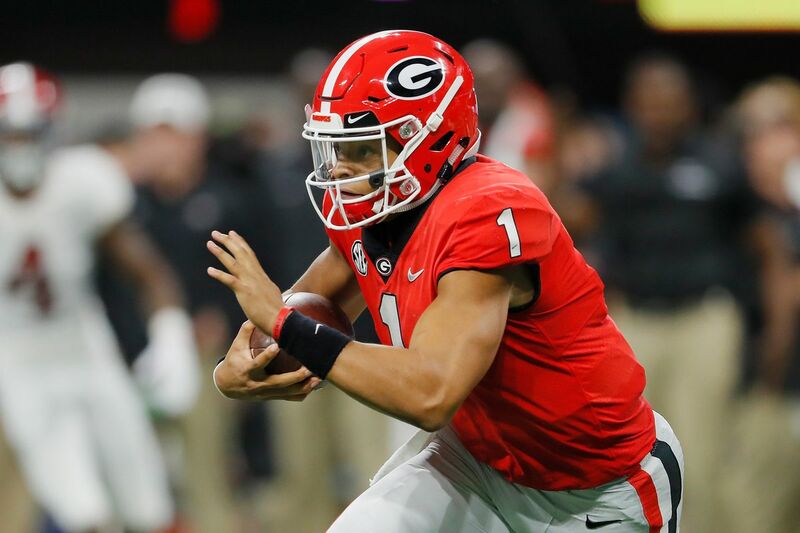 We’re all still waiting to see what backup Georgia quarterback Justin Fields is going to do after clearly falling behind Jake Fromm for the starting job in Athens this year. And while nothing has been announced, many of the rumors and speculation put Ohio State as No. 1 on his list if he were to transfer. With all the rumors circulating, Tate Martell sent out a cryptic Tweet days after everything got spun out of control — seemingly throwing down the gauntlet of competition if it did indeed happen. Since then, it’s been relatively quiet. But not anymore. By now you’ve probably seen snippets of the comments Tate Martell made after the Rose Bowl victory on the prospect of competing against Fields next year. Well, we were the ones that asked that very question to Martell following the game, because well, inquiring minds just want to know, and I wanted to give the former Gatorade National Player of the Year an opportunity to explain and expound his thoughts on what he was thinking. So here at Buckeye Wire is the only place you’ll get those full comments in their entire context first-hand and for the first time. And I do believe it’s important for the full body of Martell’s remarks because what’s out there is a snippet of his explanation that makes it sound like he’s simply challenging Fields in the media. Question: You know what we appreciate about you is your competitiveness. As a player you’re very competitive right? I know you’re tired of hearing this Justin Fields thing, but are you looking forward next year to competing again no matter who it is, and that you’ll be the one to take the reigns? Martell: I mean, it’s my job to lose really. I can tell you straight up. People like … I mean I have no problem competing against anybody. If Justin wants to come, by all means come. I’m just telling him it’s not as easy as it sounds because, I mean, the offense is just really difficult to pick up. And I know that it’s literally taken me to this point now, where I am right now, to feel comfortable going out there knowing that I’ll be really successful. That’s just how long it really takes to learn this offense and get really comfortable with it. Because I can tell you when I first got here, if I would have ever went with the ones (first team) during spring ball, it would have been an absolute sh*t show out there. Question: You feel really comfortable now with the offense? Martell: Oh yeah, I feel great out there every time I do go out there with the ones. Coach Meyer throws me in and out with the ones all the time. So, that’s just my opinion on it. I just don’t want him to make a bad decision, because he’s trying to go somewhere where he’s going to play. When you transfer, you’re going (there) to play. And, it’s going to be rather difficult. By all means, I’ll be cool. I mean you can come in and do what you got to do. I’m just saying, it’s going to be a lot more difficult than it seems like, just walking in and there’s the job. Okay, so there you have it. 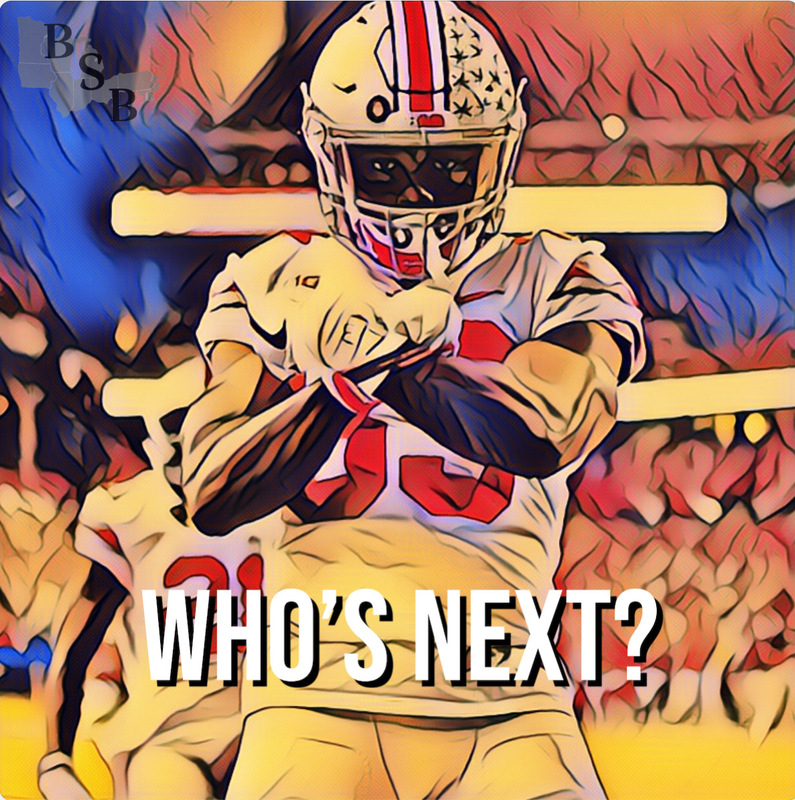 Yeah, Martell absolutely is ready to compete, but it’s not like he’s throwing urine and vinegar all over Fields if he ends up coming to Columbus for a new start. He has been nothing but a model teammate during the spring quarterback competition, and has been very supportive while Dwayne Haskins has had a magical season. And if Justin Fields makes a decision to transfer to Ohio State, he’ll do the same. Now we wait to see what Fields will do, and when something happens, we’ll bring it to you. Contact/Follow @BuckeyeWire on Twitter, and like their page on Facebook to follow ongoing coverage of Ohio State news, notes and opinion.